The Nanki Music Library has its origins in the music department of the Nanki Bunko, a private library founded by marquis Yorimichi Tokugawa(1872-1925). After the Great Kantō earthquake (1923), the Nanki Bunko was donated to Tokyo Imperial University by the marquis except for its music department. 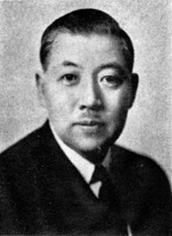 Yorisada Tokugawa(1892-1954), the son of Yorimichi, inherited this department and developed into a specialized library for music and musicology, by increasing its acquisition enormously. The Nanki Music Library (NML) purchased three historically valuable collections, namely, a greater part of William Hayman Cummings’s famous music library, rare and valuable books and journals from German musicologist Max Friedlander, and all of the musical scores left as the heritage by the renowned cellist Joseph Hollman. Consequently, the volume of the collection was reported 30000 in 1929. The NML suspended all its activities in 1932 due to the serious financial crisis. Nearly all Japanese, including musicians, gradually ceased to remember this rich collection under the political, social, and military difficulties during the Second World War. The collection was missing for many years and was rediscovered in 1967. Since 1977, the NML has been in the possession of Yomiuri Nippon Symphony Orchestra. This precious collection becomes open to the public in 2017 at Wakayama, the homeland of Kishū-Tokugawa families, by the agreement between Wakayama prefecture and the orchestra. Music scholar and politician; the 16th　generation lord of the Kishū- Tokugawa family. After studying musicology in Cambridge, he poured his property for promotion of the music. He was a member of the House of Peers of Japan from 1939, and was elected a member of the House of Councillors in the first election of 1947. He served as the Chairman of the Committee on Foreign Affairs, the president of the Association of National Diet Members on Matters related to UNESCO.